The classical pathway of most art history students leads from learning the basics about architecture and iconography, to the study of the Italian Renaissance, to the confrontation with the avant-garde movements and contemporary art. However, most students never reach the point at which they actually deal with questions of the art market, and in particular its legal challenges – a situation which is particularly surprising given the fact that many of them have ended up, or will end up, in workplaces like galleries, auction houses or other institutions dealing with the more commercial side of art. Therefore, logically, it is usually only a matter of time until one is confronted with a situation in which a certain level of instinct for legal matters is helpful or even actual knowledge is required. Justine Ferland (Art-Law Centre, Université de Genève) opened the section by presenting the Responsible Art Market (RAM) Initiative, a cross-industry self-regulatory effort launched in 2015, which aims to raise awareness for the risks faced by the art industry, provides practical guidance for art businesses and collectors and offers a platform for the sharing of best practices. The paper dealt specifically with the presentation of the guidelines which RAM makes available to its users. Generally, the paper made clear how difficult it is today for art collectors and businesses, not to get lost in the growing tide of state-mandated regulations and to cope with the growing number of risks which they are facing when dealing with artworks. 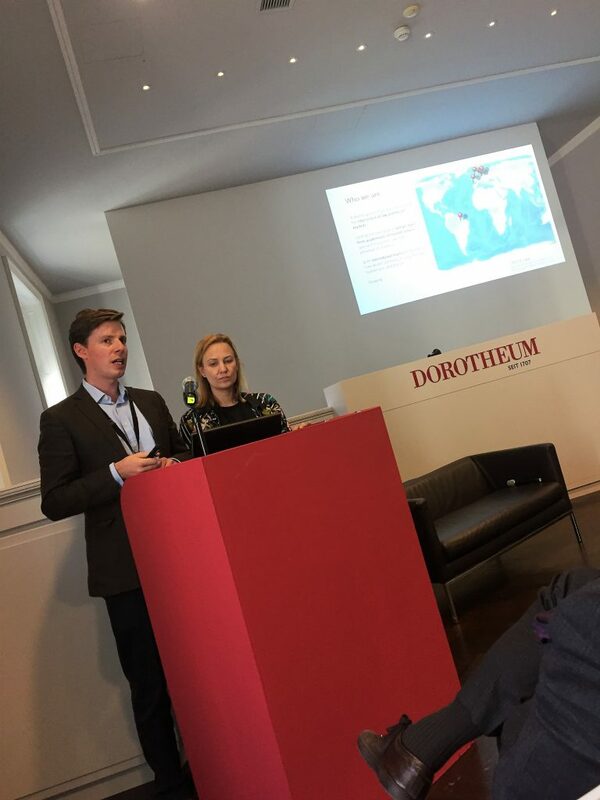 The second presentation was held by Thomas Steinruck (Fine Art Insurance, Zürich) and also focused on self-regulatory initiatives, in particular the Art Basel Trade Guidelines of 2012 and the Art Basel Art Market Principles and Best Practices of 2017. He pointed out that the Art Basel guidelines, as well as the guidelines from the RAM initiative, are in their nature as self-regulatory frameworks not actually legally binding but rather recommended standards of how to do business. This fact already shows the obvious problem of no actual consequences for non-compliance with the guidelines and thus raises the question of the possible need for actually binding legal norms. Both talks about the self-regulation in the art world were particularly interesting to me. Since I haven’t been fully aware of the problems businesses, collectors and artists are currently confronted with, I was able to gain many new insights, especially concerning the extent the self-regulatory initiatives had reached so far. However, I am doubtful about the long-term positive effects these “non-legal” guidelines will have, since in business there is often the need for actual impending legal consequences, in order to achieve the wanted effects. Following the two papers about self-regulatory guidelines, Dr. Saskia Hufnagel (Queen Mary University, London) presented her paper about the problem of money-laundering in the art market. First, she pointed to the lack of case law concerning the matter, since usually only the original offenses such as embezzlement or tax evasion would be prosecuted and also to the problem of little knowledge about the actual course of money laundering. Furthermore she explained recent developments in the legislation of the UK, the US and the EU in order to prevent money laundering, but also pointed out the little scientific knowledge about the actual efficiency of the counter measurements. Overall, the presentation on illegal activity in the art market has given me a new perspective on the gravity of the problem. While I was naturally aware of the general danger of money laundering on the art market, I have never yet directly dealt with artworks which have been involved in such cases. Dr. Hufnagel, however, made clear how real the issue actually is. Nevertheless, the question remained open as to why there have been so few convictions for money laundering on the art market so far. The fourth and last contribution to the legal section of the conference was by Fernando Loureiro Bastos (Universidade de Lisboa) and focuses on the legal implications of street art. During the course of the presentation, Bastos highlighted the difficulty and the cruciality to define the term “street art”, especially if one wants to establish legal frameworks for such works of art. Moreover, he drew attention to the problem and the question of whether street art should just be seen as traditional artworks, which are therefore also subject to ownership, commercial transactions and copyright, or if they should be considered as artefacts, which are subject to cultural heritage preservation. Or if there is the need for a new legal category, since street art underlies a completely new artistic and creative intention of the artist. Especially this last contribution was particularly interesting to me, since it showed the very different approaches art historians and lawyers have during their work and which different questions are crucial for either of them. To sum up, all four contributions gave interesting insights into legal matters the art world is currently dealing with, but also left much leeway for a deeper confrontation with the topics. As a result many questions remain unanswered, such as the exact reasons why the art market is so vulnerable for illegal activities, or why there have been just a few convictions for money laundering on the art market. However, due to the declared aim of the conference to bring together academics and professionals from all sorts of different backgrounds, it is the logical consequence that the presented papers are only touching the surface. Instead, the conference hopefully opened the door to a deeper transdisciplinary analysis of the presented matters and by that leads to new insight among lawyers and art historians alike. Biography: Kirsten Pilling is a Master’s student in Art History at the University of Vienna as well as a graduate of the Bachelor’s program Business, Economics and Social Sciences at the Vienna University of Economics and Business.